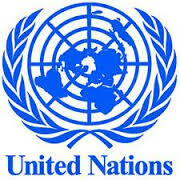 United Nations Organization : Promoting Equality of States or Inequality? Posted On October 30, 2016 by &filed under Legal Articles. United Nations Organization, today, is the most powerful organization across the world constituting nearly all the states as member countries except a few of them. The aims and objectives behind the formation of such a large institution are contained beautifully in the preamble of the UN Charter. The Charter contains all the required provisions which aim to establish world peace and security across the globe. The earlier World Wars (World War I & II) had caused immense destruction all over the world leading to a huge loss of life and property. But before we look forward to the various aspects of the United Nations Organization, it is very important to know the history behind formation of such an organization. After World War I, keeping in mind the huge devastation caused through wars between different nations , some countries took an initiative to form the ‘League of Nations’ which aimed to prevent the further chances of wars between nations across the world or aimed to prevent a second world war. But such an association involved a much less participation of nations than what was required. As we all know, this organization was a very big failure and could not prevent from happening of another big war, World War II which obviously had much more devastating results than World War I. The nuclear attacks over the two major cities of Japan, Hiroshima and Nagasaki had shaken the roots of human life and property over a very large scale. After the war ended, it was highly important to bring an end to such wars for not only few, but all the nations of the world. This necessity of saving human life and property was the most essential priority of nations all across the world, and so the nations decided to combat the failure of the ‘League of Nations’ and the reasons behind such a failure. They came up with the United Nations Organization in the year 1945 which involved a huge participation of the nations as the member states of the organization. The organization functions on its two very important organs namely General Assembly and the Security Council. The General Assembly is an organ of the UNO which holds its meeting of all the member states after a fixed specified period of time. The issues faced by different countries all around the world are debated upon an international platform; the problems as well as solutions to such problems are discussed in the General Assembly. The other organ is called the Security Council which consists of the five permanent members across the world. These member states are permanent members of the Security Council and hence subject to no change in its position. Obviously, the Security Council enjoys more powers and privileges when compared to the General Assembly. Also in the Charter, any decisions taken by the General Assembly are subject to its finalization by the Security Council. Hence, this creates a lot of inequality between the two organs of the same institution. Being members of the international community, in principle, all the states (nations) are equal due to their individual international personality despite the dissimilarity between the states in respect of territories, population, power, civilization, prosperity e.t.c but when we talk about reality, such principles of law and equality fail to establish in practicality. The UN Charter is based on the principle of sovereign equality of states but in reality great powers are unequal to the smaller or less powerful states. When the entire concept is based upon one such important aspect of sovereign equality, even the smaller or less powerful countries of the world must have an equal voice and status on such a big international platform. The special privileges or rights enjoyed by the five permanent members curtail the rights enjoyed by the other states of the world and hence promote inequality among the world’s most powerful states and the less powerful ones. Enjoyment of certain special privileges and rights by these permanent five members compared to the other member states has created an inequality of states all over the world on an international platform. If states do not promote equality on such a big platform, how are other communities all around the world expected to do the same. These international forums must function in order to inspire states and communities all over the world and not in itself create barriers which serve threat to principles of humanity.